Shirley M. Leasure age 80, of Ashland, died Wednesday, April 6, 2016 at Kingston of Ashland. She was born October 27, 1935 in Akron, the daughter of John Eldon and Carrie (Raby) Neff. 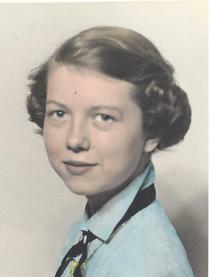 Shirley was a graduate of Loudonville High School and had lived most of her life in Ashland. She had been employed with Eagle Rubber Co. and National Latex for over 30 years before retiring. Shirley was a member of the 1st United Methodist Church and the Moose Lodge. She enjoyed her bowling leagues, antiquing, and puzzles; she was also an avid Cleveland sports fan. Survivors include her sons, Thomas E. (Darlene) Leasure of Mansfield, Michael L. (Elizabeth A.) Leasure of Ashland, Stephen J. Leasure of Ashland; her daughter, Barbara J. (John) Moherman of Ashland; her grandchildren, Amber Leasure, Marc Leasure, Jessica Kennedy, Justin Hales, Missy Barrus, Christy Leasure, Barbie Wine, Breana Robinson, CJ Leasure; her 15 great grandchildren; along with her sister, Joanne (John) Oswalt of Perrysville. She was preceded in death by her parents. Funeral services will be held at the Heyl Funeral Home at 11:00 A.M. on Saturday April 9, 2016 with Pastor Dallas Waggle officiating. Burial will follow at the Loudonville Cemetery. Friends may visit with the family one hour prior to the service at the funeral home.